Martin Chandler will be running two Get Colourful events in support of Evelina London, to thank them for the fantastic treatment his son Cameron has benefitted from since birth. Cameron was born with chronic renal failure in 2001. Cameron’s kidneys and bladder were extremely damaged and he has had a number of operations since, this together with a lot of medication kept his kidneys going until in February 2015, his mother Tanya, selflessly donated one of her kidneys. To show his appreciation for the fantastic care Cameron received, Martin will be running two Get Colourful events at two local schools in Kent: Goat Lees Primary School and Stella Maris Catholic Primary School on the 16 and 26 January respectively. The kids will be dressing up in colourful attire ranging from wigs, socks and colourful trousers and skirts. There will also be a cake sale! 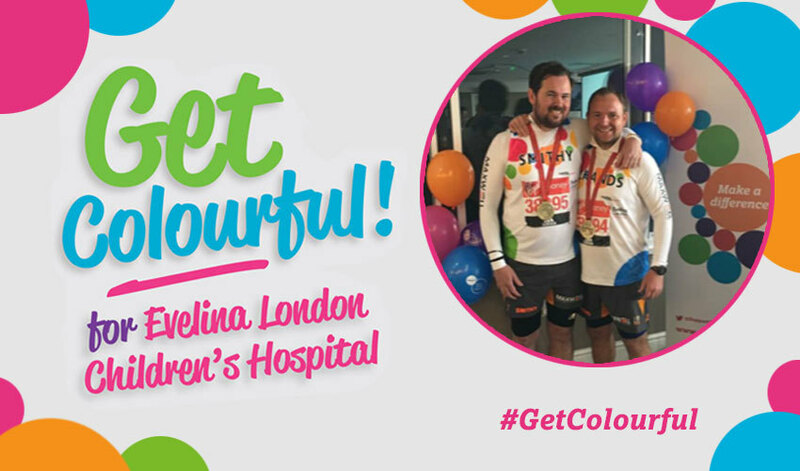 Not only is Martin joining us for Get Colourful, he's also running this year's Big Half for Evelina London in March! You can support Martin's fundraising by donating today. Are you interested in holding your own Get Colourful event? Find out how you can Get Colourful for Evelina London!